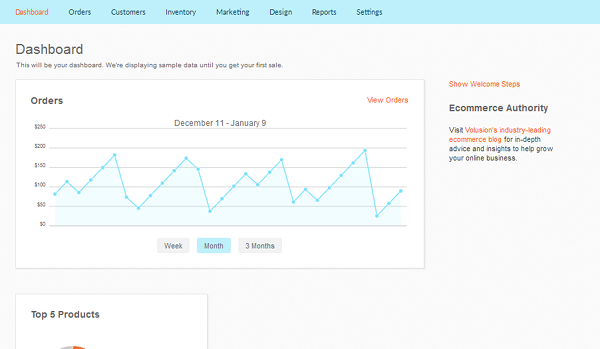 Volusion is a simple eCommerce platform with plenty of easy-to-use features. It’s been featured in such publications as Entrepreneur, Mashable and The New York Times and is trusted by Toni & Guy, This American Life and Jane Seymour Botanicals. Volusion is an all-in-one solution, which means it takes care of your hosting needs, design needs and everything else you need to build an eCommerce website. It even comes with enough features that allow it to be used by any entrepreneur or small business owner. Let’s see how capable this platform is at powering your online store. Volusion is comprised of a team of over 250 individuals who include founder and CEO Kevin Sproles, CTO Bardia Dejban, Vice President of Finance Randon Kelly, and Vice President of People & Culture Sandra Nguyen. This team’s experience includes several decades of experience in web design for the eCommerce industry, marketing experience and more. Over 40,000 stores have been built using the Volusion platform, and these stores have gone on to acquire over $24 billion in revenue collectively. The company also offers several perks to its employees and is involved in several charities. Let’s examine how this company can help you. Volusion is a simple eCommerce platform, but it comes with more than enough features to enable you to build a well-optimized online store. Let’s explore the pros of using this service. Volusion is an all-in-one solution, but it’s not as all inclusive as a platform like Shopify is. More on that later. What this platform will do is provide a secure server for you to host your store on as well as themes and apps that will help you build your store from the ground up. It also allows you to integrate a variety of different payment gateways with your store, handle email marketing and optimize your site for SEO by auto generating sitemaps and creating rich snippets for products. 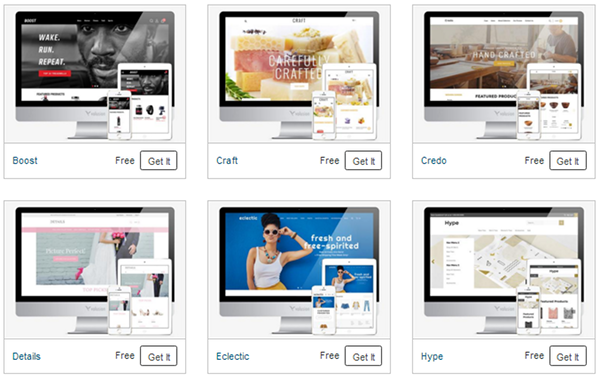 You can see from that list that this platform offers responsive themes, and you’ll be delighted to know there are plenty of well-designed themes available free of charge. Others are highly affordable at $50 while others are more expensive at $180. There are also a number of different apps and integrations that allow you to extend the functionality of your store, and you can even receive discounts from shipping carriers, such as FedEx. Putting all of your eggs in one basket isn’t always the best idea, especially in the world of eCommerce and online business. What happens if that basket crumbles? Your business fades away with it. That’s why Volusion gives you opportunities to sell in multiple locations. This includes Facebook, eBay and Amazon. This is a simple yet wonderful way Volusion takes the pressure away from you. Platforms such as Shopify are often criticized for charging fees on every order. These fees are charged in addition to the fee the payment gateway(s) you use charges. These costs add up fast, but thankfully, Volusion does not take part in them, in any plan. Based on weight or cost. You can also integrate your store with a variety of different carriers to display live shipping rates on product pages. You can even save time by printing labels from USPS, FedEx, and DHL. It also has a partnership with Akamai to protect your site from DDoS attacks and offer better performance with a CDN. Free SSL certificates are not offered, but you will receive a discount on a 128-bit SSL certificate. I mentioned which support options are available from this platform in the pricing section, but to recap, they are live chat, phone and email. You’ll also have access to a large knowledge base filled with helpful articles and documents, a blog that contains plenty of advice and more technical information, and complete guides. I’ve already mentioned how much of a simple platform Volusion is, but this simplicity goes as far as to making it easy to set up an online store. If you’re starting with the free, 14-day trial, all you need to do is enter your name, phone number, email address and desired password. You’ll access your store after that. It’s just a matter of selecting a template, adding your logo (text logos are an option for added simplicity) and adding products after that. Products are also incredibly easy to create with Volusion, and the details you need to enter are not much different from other platforms. They include name, code, price, weight, description, options, images and even more advanced details, such as advanced pricing details, advanced shipping details, stock, vendors and more. 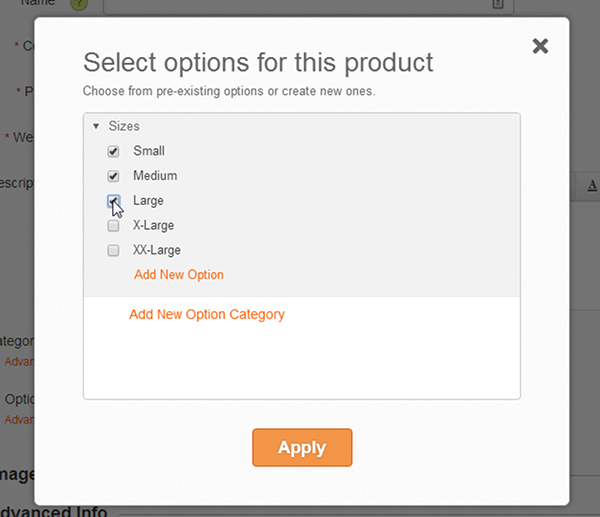 Volusion uses option categories you can assign to products. This means you can’t assign individual options to categories. Basically, Sizes would be an option category, and Small, Medium, Large, XL, XXL, and XXXL would be its options. This may seem annoying at first glance, but it’s actually much more organized than other systems out there. Instead of having to create different option categories for different products, you just need to assign an option category to a product and selectively choose which individual options from that category you want to assign to a product. Store management is a pro and a con for this platform. We’ll discuss the con in a bit. Let’s stick to the positives for now. 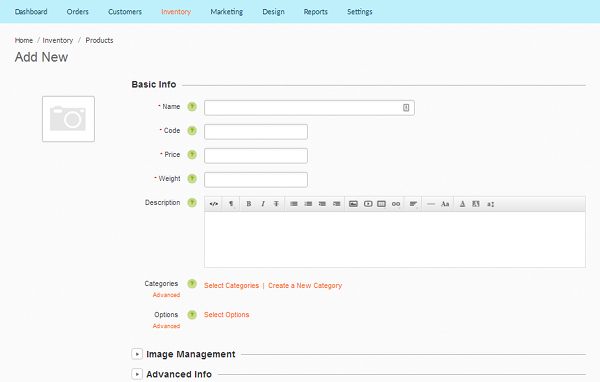 The dashboard is divided into different sections, each of which give you a snapshot into different areas of your store. This includes the Orders section, where you can process all types of orders. It also allows you to manage things like customer profiles and inventory, including which products you have, which vendors you use and which categories/options you’ve added to your store. There’s also a Reporting section that allows you to view your orders, return on investments, affiliate stats and which search terms customers are using to find products in your store. Having a simple platform can be a major plus, but it can also be a con for some, especially larger, enterprise stores. Let’s take a look at which features Volusion is lacking in. Despite all of the hyperbole that releases every so often about how dead blogging is, content marketing still remains to be one of the most effective and cost-effective marketing solutions out there. Unfortunately, true blogging capabilities are not native to Volusion. There is a feature called an Article, but all you can add to it is simple content for customers to read. You cannot add tags, pretty permalinks or popular blogging features. Customers can’t even comment on your posts. You also won’t have much control over the layout without technical knowledge. You can integrate a WordPress (.com) or Blogger blog into your store, but it’s a bit tedious and requires a little technical knowledge to set up. Volusion does provide tutorials on how to do so, thankfully. The theme editor Volusion uses does not fall on a wide spectrum. It’s either too basic or too technical. The only elements you can change on the frontend live editor are text and images. You’ll need to be knowledgeable in HTML and CSS if you want to change anything else. Here are the cons for the store management dashboard, as promised. I’ll start off by saying Volusion does allow you to integrate your store with Google Analytics and Adwords. However, it’d be nice to have built-in features that make the Reports section a lot more powerful. Such features that would be nice to have are the ability to see who your top customers are, which underperforming products should be bundled together and similar features. Overall, the reporting is far too basic, and it doesn’t give you enough information for you to make smart and educated decisions in what moves you should make to increase your revenue. We’ve talked about this a bit earlier, but I decided to give it its own section. This platform is incredibly easy to use, and unfortunately, that ease of use has also made it too basic in some areas. To make matters worse, you actually need to know technical information to expand your store’s functionality. That includes needing to know SQL to make custom reports. This isn’t a huge con, but it’s still unfortunate. Peer-to-peer help is one of the most popular ways to receive technical support on the Internet. It’s why sites like Reddit and Stack Exchange are so popular. Unfortunately, the Volusion forums are not live at this time. They used to be, but Volusion has suspended them until further notice. Volusion is a fairly simple platform to use, but I can only recommend it to small businesses. It lacks key features enterprise, large and medium-sized businesses need to grow and sustain themselves. At this time, I can only recommend Volusion to small businesses with small inventories and revenue. Click the link below if you’d like to get started with the free trial.